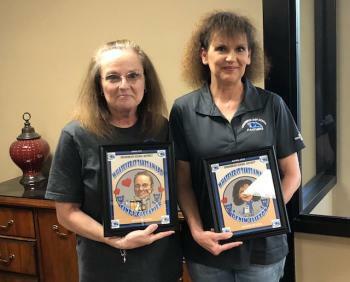 Last night, the school board recognized Mrs. Cindy Castanier and Mrs. Denim Clifton for their work each day in caring for our school and their commitment to our students, by presenting them the "Whatever It Takes" award for April. We are truly blessed to have these ladies as part of our GHS family! Mrs. Cindy and Mrs. Denim, thank you for all you do for our staff and our students!